Join Paul on the musical journey of his youth through the Dublin Docklands with wonderful stories and events for those who know the Docklands to reminisce and those visiting for the first time to explore and for both to thoroughly enjoy. Paul O’Brien is a renowned oral historian, song writer and folk singer. In 2006 Paul's songs about his youth growing up in East Wall were first performed for the local community at the summer festival. This was to be the start of Paul's journey in sharing these songs and tales with a larger and wider audience. Regular performances for the East Wall Women’s Club and at the local primary school got Paul’s material it’s first airing. It became evident that Paul was not alone in his journey as many were very interested in reminiscing and remembering - the sense of community, the poverty, the culture - all brought to light with original material all composed and written by Paul. His songs range from the nostalgic, to the humorous to the haunting and the interest in this material reached out from from Dublin to the UK to the Netherlands. Paul, being a resident there, has often been requested to play Irish music at various festivals and the folk circuit. The interest shown highlighted the passion for social history and the pull of such original material. 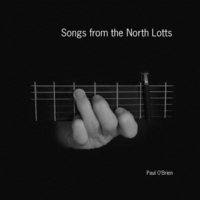 So proudly, in 2009, with generous support of East Wall locals and the Dublin Port Company, Paul’s ‘Songs from the North Lotts’ was released – a double CD collection of 40 songs about ‘Paul’s’ East Wall. Some of the songs are based on stories heard as a child growing up in Dublin’s Docklands and some are from personal experiences. ‘Songs from the North Lotts’ has been performed to international audiences, all over The Netherlands, The UK and Ireland in various guises, a ‘baroque’ setting with two violins and flutes and appropriate arrangements, folk setting with Uilleann pipes and fiddle and in an intimate setting of guitar and flute. The songs have proven to be musically versatile and the subject matter has shown itself to be of universal appeal, judging by the amount of international audiences merrily singing along to ‘Bingo Lill’ and ‘Me Handsome Stevedore’. During the official launch of the CD and book, Dublin’s Lord Mayor Councillor Emer Costello raved on the impact of Paul’s work. She recommend making the CD and book available to all Dublin Secondary Schools! Likewise at the Dutch launch in the Netherlands, the dignitaries from the Embassy of Ireland and the lrish Club in The Netherlands gave great acclaim to this work. The book is available by ordering on line at: paulobrien.eu. Paul hopes you’ll enjoy and would be happy to have your feedback!